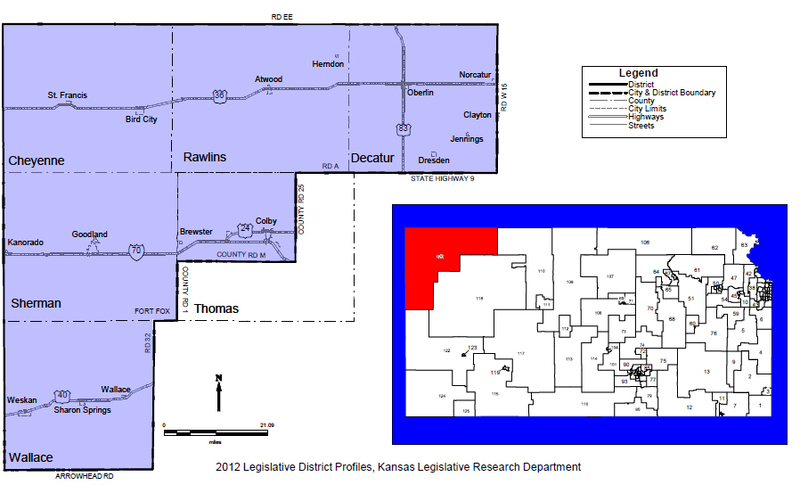 The 120th District consists of six counties in northwest Kansas: Cheyenne, Rawlins, Decatur, Sherman, a portion of Thomas, and Wallace. Copyright © 2018 Smith For Kansas. All Rights Reserved. "No public funds were harmed during the creation and maintenance of this site!"